VietNamNet Bridge – Former football star Pham Huynh Tam Lang died yesterday after suffering a stroke at the age of 72. Born in 1942 in Go Cong District in the southern province of Tien Giang, Lang was considered one of the best midfielders in the history of Viet Nam and Asian football. At the age of 15, Lang joined the Cho Lon Star team. Three years later, he was drafted to the Southern team where his talent and generous team spirit saw him rise the ranks to team captain. In 1966, Lang helped his team win the Merdeka Cup in Malaysia and was the first Vietnamese footballer chosen to join the Asian Stars team in 1967. 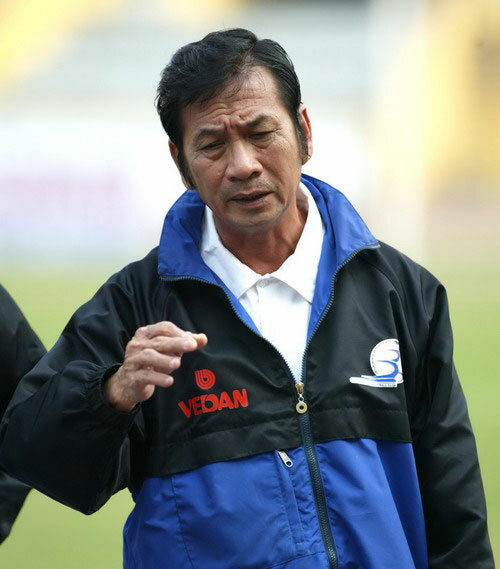 In 1975, he played for Sai Gon Port, but retired two years later to begin coaching. After training in Germany, he was signed to coach Sai Gon Port, where he went on to lead the team to four V-League titles, in 1986, 1993, 1994 and 2002. Leaving Sai Gon Port, he was invited to consult at many football centres and clubs in Viet Nam. Lang later received the campaign medal of the Asian Football Federation for 50 years of his contribution to Viet Nam and Southeast Asian football.